keep close to you the serving sons and daughters of this country who put themselves in harm’s way for the sake of others. Be a shield around them and a courage within. Invest them with persistence in duty and a thirst for what is right. Be the words of their Chaplains and the touch in their hands. Inspire these pastors to be channels of your grace. 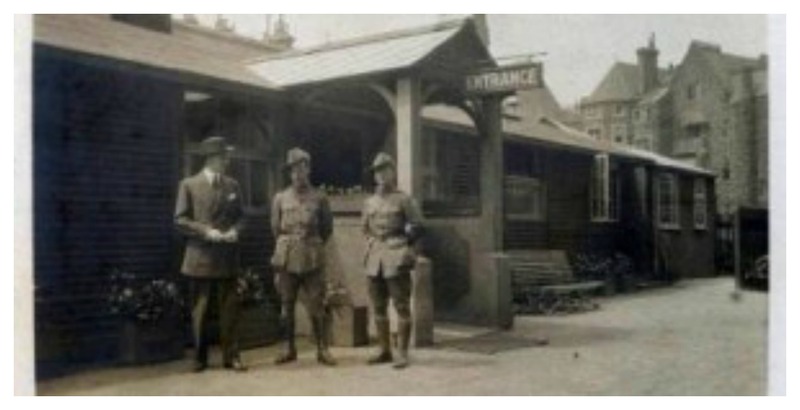 At the beginning of the First World War an appeal was made for a Catholic recreation hut for the Forces in Boulogne and the immediate and generous response from members of the public made it possible for the League to open a hut there. The earliest hut in England, the Westminster Hut, opened in 1916, and was at St Peter’s Hall beside Westminster Cathedral. This was open 24 hours a day, organised by members of the League, for troops passing through London. There were many huts opened during WWI and by the end of 1918 the League had 35 huts in England and the war fronts in Europe, all staffed by League members. When peace came in 1918, the League began the adoption of ruined villages and churches in Europe and the huts in France were donated for use in shattered areas and vestments were provided for use in those churches still standing. When the Second World War broke out in 1939, the Committee obtained permission from the War Office to resume running of the Canteens. 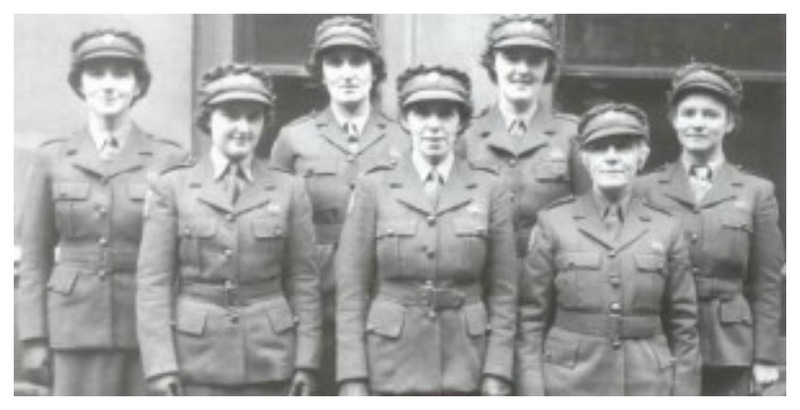 League members, now in uniform under the auspices of the Council for Voluntary Welfare Work (CVWW), were in North Africa, Iceland, Malaya, Burma, Singapore and India. 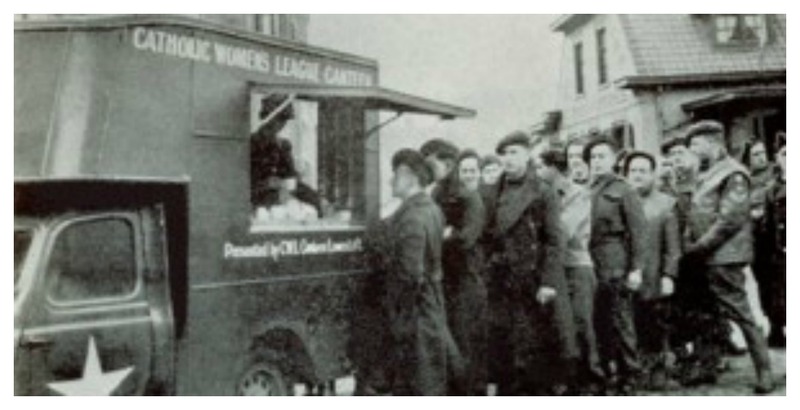 A Services Branch of the Catholic Women’s League was started by the wives of Catholic Servicemen. In 1973 the last clubs were closed in Germany as they were no longer viable. The remaining assets of the Clubs were invested and a Committee formed to dispense the income from it to needy ex-servicemen and their families. Today the Committee works to assist present and past Service personnel and their families. Requests are welcome from any serving, or retired Service person or their dependents. They do not need to be Catholic, only to have a relative who served, in the Forces. Requests for assistance are passed to us through the Royal British Legion, SSAFA, Social Services and some St Vincent de Paul groups. The Committee works closely with the Bishop in Ordinary to Her Majesty’s Forces and the three Principal Chaplains. 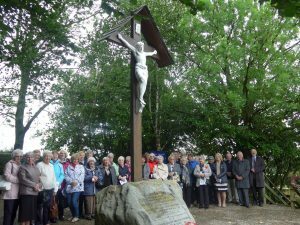 Since 1921, members from Leeds, Hexham and Newcastle and Middlesborough, have met at the Wayside Crucifix near Ripon to commemorate those soldiers from the North of England and Canada, especially those who died on July 1st 1916 at the First Battle of the Somme. This memorial stands on the site of the CWL Services’ Canteen Hut, bought by Leeds members in 1915 from the Ministry of Defence. The West Riding (now Leeds CWL Branch) ran and maintained it for the 30,000+ troops based in training camps north and south of this area, outside the City of Ripon. If you have never visited the shrine it is based on the B6265 at the junction of the road from Ripon to Studley Roger. This year we welcomed our President Mrs Margaret Valentine and 30 members and other supporters. Later at the Mass at St. Wilfrid’s Church, Mgr. Philip Holroyd spoke about the long association, with their parish, of the Leeds CWL and their dedication and loyalty over the past 101 years, by succeeding generations of members; In 1938 another Canteen for the troops was erected near the same site during WWll. A super afternoon tea was enjoyed by all, in the Church’s Community hall and Joan Maclean gave a short talk and a PowerPoint presentation on the connection of CWL, Ripon camps and the “Huts”. Appointed by Bishop Marcus of Leeds, she is Activities Coordinator for the community, preparing and seeking funding, for the restoration of St. Wilfrid’ Church, a Grade ll* listed building. Next year the whole Ripon Community will be involved in celebrating and commemorating the end of the “War to end all Wars”, and CWL Leeds will certainly be there, on June 28th 2018. 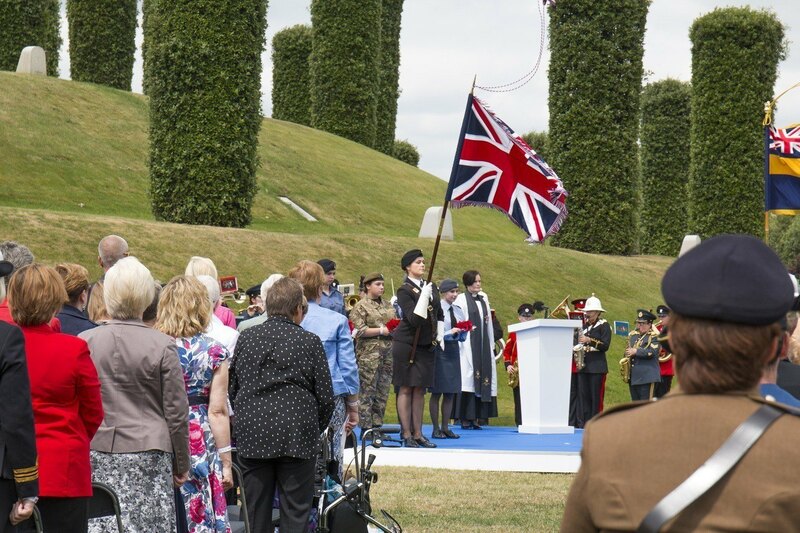 On 14th July 2009 a Bench was dedicated at the National Memorial Arboretum, Alrewas by Bishop David McGough, Auxiliary Bishop of Birmingham, in recognition of the great work performed by the ladies of the CWL during both World Wars. 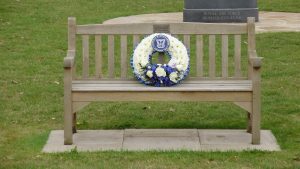 The Bench is located on Millennium Avenue, in front of the RAF Benevolent Fund memorial, and hut nearby. This is close to the Visitor Centre at the Arboretum. 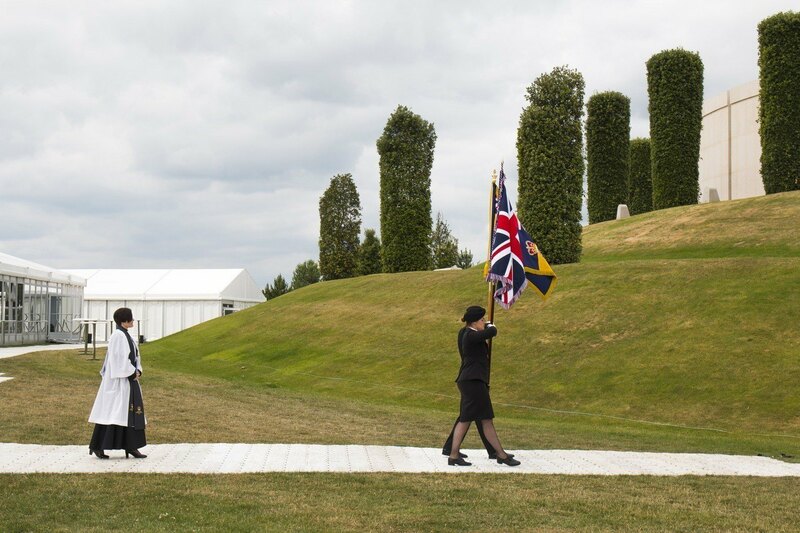 I was very privileged to be able to attend this event at the National Memorial Arboretum on behalf of the League on the 7th July to mark the centenary since the formation of the Women’s Auxiliary Army Corps exactly 100 years ago on that day, when women were formally allowed to serve the Crown in uniform in an official capacity. 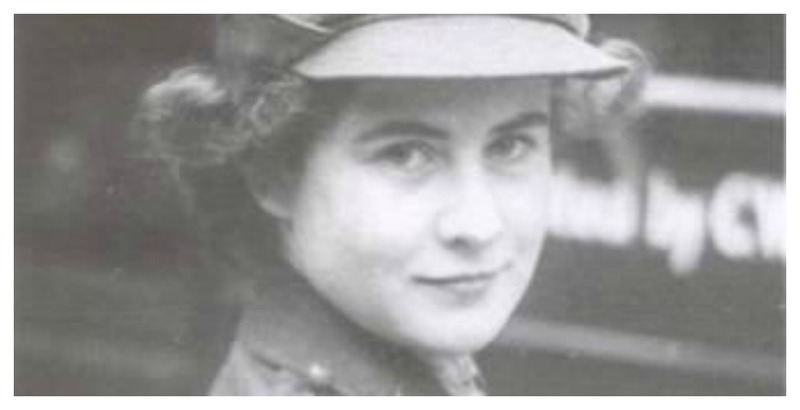 They took on the roles of cooks, clerks, drivers, mechanics, telephonists and telegraphers. 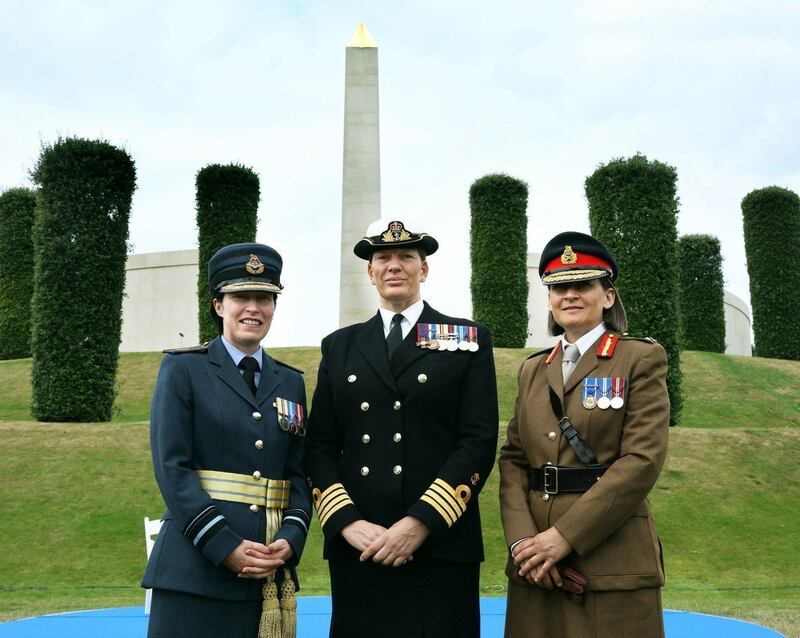 Since then, women have gradually been given a greater role in the Armed Forces, culminating in 2016 where the ban on females serving on the front line was lifted. 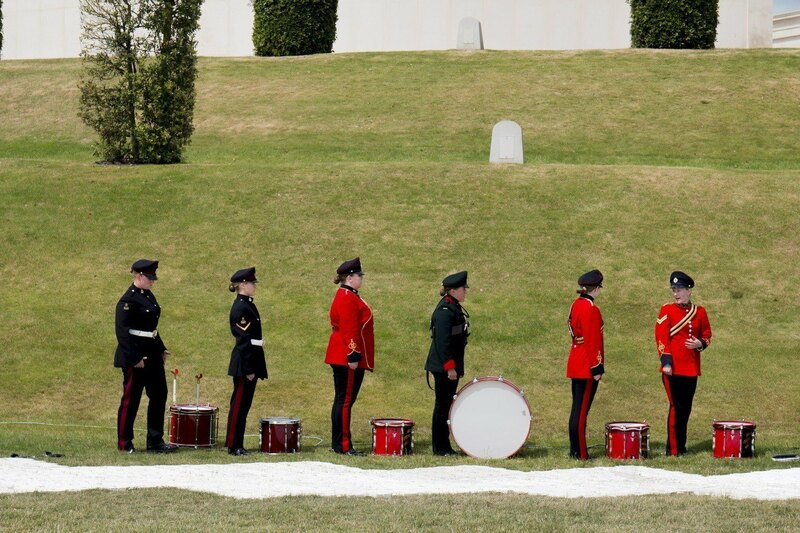 The Royal British Legion marked this occasion by holding a Drumhead Ceremony and Reception and the event more widely commemorated the contribution of women who have served the Crown on operation or in uniform since then – hence my meeting the criteria to attend the event on behalf of the Services Committee and the Catholic Women’s League. 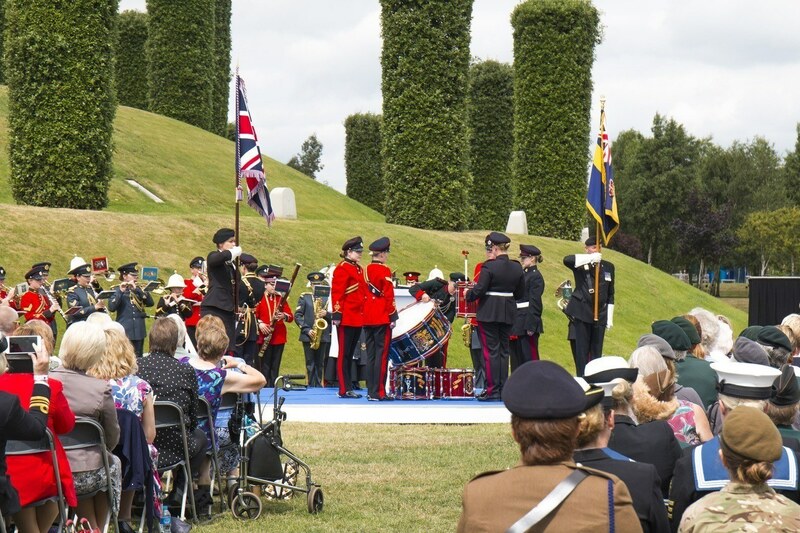 More than 1,000 women attended and were aged between 14 and 100 – travelling from Spain, Belgium and France – which featured a Drumhead ceremony led by Reverend (Wing Commander) Ruth Hake MBE and featured an all-female tri-service military band. The youngest representative was a 14-year old cadet, while the oldest was Rose a 100-year-old balloon operator. Representatives from the WRAC association were joined by representatives from a number of other organisations including the WRNS and the WRAF. 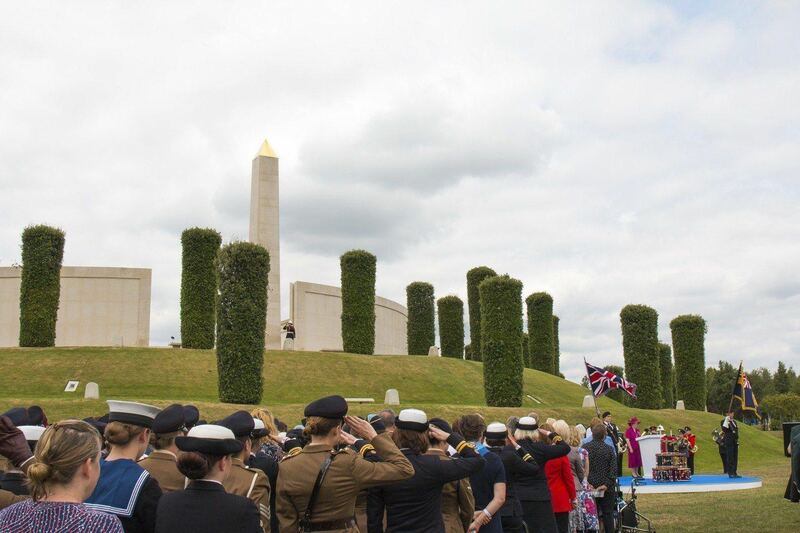 At the end of the celebration, we were given a map of the memorials for women at the Arboretum and a ‘Women at War 100’ Poppy Cross and were asked to place it at one of these memorials. I placed mine on the CWL Bench!